FORT MYERS, Fla. – Florida Gulf Coast University’s (FGCU) state-of-the-art health sciences facility, Dr. Elaine Nicpon Marieb Hall, has earned Leadership in Energy and Environmental Design (LEED) Gold certification. The building was built by Manhattan Construction and designed Harvard Jolly. SEQUIL Systems provided sustainability consulting services to facilitate the certification process. The LEED rating system is administered by the U.S. Green Building Council, which is the nation’s leading champion for ensuring a sustainable future through cost-efficient and energy-saving “green” buildings. Marieb Hall features the latest in technology to prepare students to excel in the health professions, including nursing, physical therapy, human performance, occupational therapy, community health and social work. The $28 million facility houses instructional and research labs that simulate an operating room, an intensive-care unit, a labor and delivery room and various medical suites where students can practice examinations and procedures on human simulators. 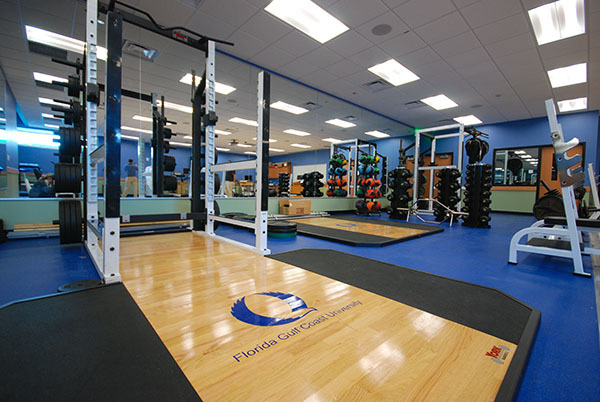 It is named for Elaine Nicpon Marieb, a prominent author of textbooks on anatomy and physiology, who donated $5 million to FGCU for scholarships and continued growth in health sciences programs. The Green Building Council evaluated the 60,000-square-foot building for site sustainability, water and energy efficiency, indoor environmental quality and building materials, according to Professor Mitchell L. Cordova, Dean of the College of Health Professions and Social Work. “This is a significant achievement for all of those who were involved in the planning, construction and finishing phases of Marieb Hall,” he said. 27.5 percent savings in energy consumption and cost based on more efficient lighting and air-conditioning systems. 60 percent savings in water use based on the installation of low-flow toilets. 23 percent of building materials were manufactured using recycled content. 20 percent of construction materials were locally manufactured. 87 percent of all construction waste was diverted from landfills to recycling centers. 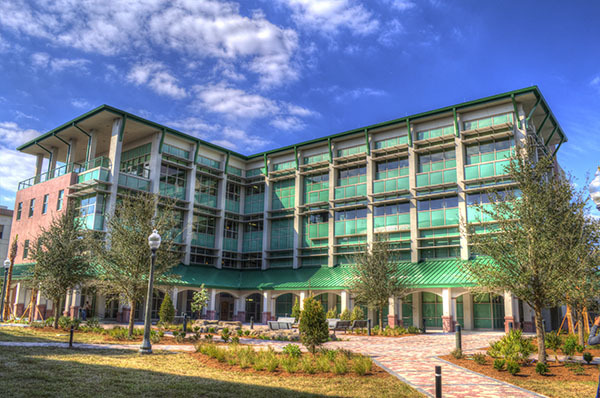 Marieb Hall, which opened in January 2012, is the fifth FGCU building to earn LEED certification. Manhattan Construction also built the Academic Building 7, which is certified Platinum – the highest level, and two residence halls, Biscayne and Palmetto, which are certified Silver. The Music Building is rated Gold. All major projects in the future will be designed and constructed where possible to uphold these standards and to earn LEED certification, according to FGCU President Wilson G. Bradshaw. FGCU is committed to integrating environmental sustainability practices throughout the campus community. Its 15-acre solar field, built by Manhattan Construction, produces enough energy to power three academic buildings – the equivalent of hundreds of homes. The university’s Central Energy Plant features one of Florida’s largest ice thermal storage plants, which supplies the chilled water pumped through an underground network of pipes to cool campus buildings; the plant generates ice at night when public demand and utility rates for electricity are lower. FGCU’s three newest residence halls utilize hot water generated from rooftop tanks heated by the sun. Take a video tour of the University of Houston Football Stadium site by watching this video walk through with Manhattan Construction Project Manager Matt Doffing. Click the play button to start your tour! Click here to check out the construction webcam to see what the site look like right now. Manhattan Construction building The University of Houston Football Stadium. PageSoutherlandPage and DLR Group are the project’s architects. The University of Houston Football Stadium project is a continuous bowled 40,000-seat stadium to replace the previously existing, demolished Robertson Stadium. The south side of the stadium consists of a cast-in-place structure with club space, suites, and a press box with premium seating. Twenty-six suites stretching from end zone to end zone on the stadium’s south side will be located one level above the club. The stadium is designed to include four open-air lower bowl party decks with 24 armchairs and two open-air party suites containing 58 padded armchairs. Tulsa Mayor Dewey Bartlett cut the ribbon marking the opening of Philbrook Downtown in Tulsa, Oklahoma on Thursday, June 13, 2013. 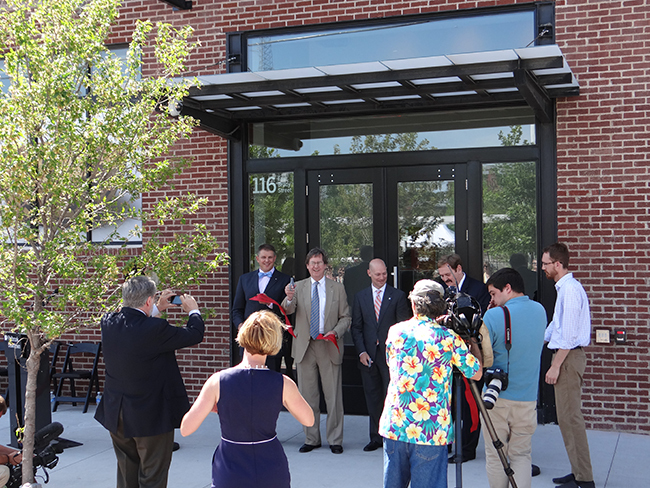 The opening marks the final phase of the Mathews Warehouse historical renovation project by Manhattan Construction Co. Manhattan also renovated space within the Mathews Warehouse for the recently opened Woody Guthrie Center and the Henry Zarrow Center for Arts and Education. The 90-year-old structure is a nationally registered historic building. This satellite space is an expansion from Philbrook’s original 23-acre main campus in Midtown Tulsa. It enables Philbrook to allocate significant additional gallery space to their expansive Native American art and growing modern and contemporary art collections. Philbrook worked with Gluckman Mayner Architects, New York, to design its 30,000 square feet into two floors of elegant gallery space with expansive ceilings and open floor plans. OKLAHOMA CITY – The OK Kids Korral is a two-story, 25,000-square-foot facility that is designed to make life easier for families with children that have cancer. While their children are receiving cancer treatment at other nearby facilities, the OK Kids Korral provides daytime and overnight lodging as well as a safe, convenient and hopeful place for families to reconnect. DALLAS – The American Subcontractor Association (ASA) North Texas Chapter has honored Manhattan Construction Co. with the 2012 Outstanding General Contractor Award. In addition to this top accolade, Manhattan received three other ASA honors at the organization’s 35th Annual Awards Ceremony held May 25, 2013. Manhattan won the Outstanding Project Team Award and Outstanding Project Award, both in the more than $50 million category, for construction of the George W. Bush Presidential Center in University Park, Texas. Manhattan also received the Outstanding Project Award in the less than $50 million category for construction of the Rockwall County Courthouse project in Rockwall, Texas. George W. Bush Presidential Center, University Park, Texas. The 226,000-square-foot George W. Bush Presidential Center opened May 1, 2013. It contains the George W. Bush Presidential Library, which includes the archives and museum, and the George W. Bush Institute. The Institute includes permanent and temporary exhibit spaces, the only full-scale replica of the oval office in the world, a Texas rose garden modeled after its White House namesake, National Archives and Records Administration storage and a presidential suite. 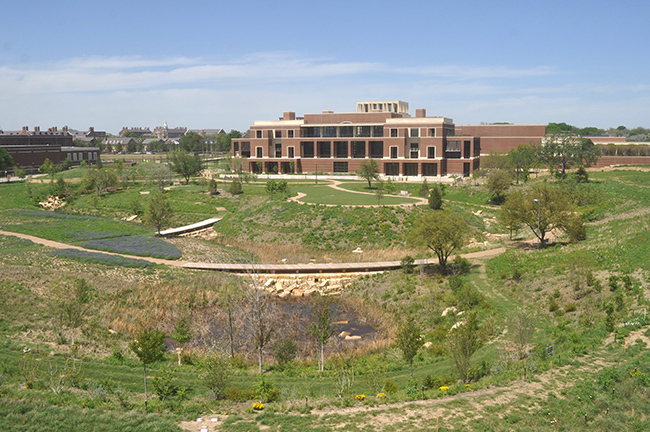 Manhattan also built the George Bush Presidential Library and Museum in College Station, Texas, making it the only contractor to have constructed two presidential libraries. 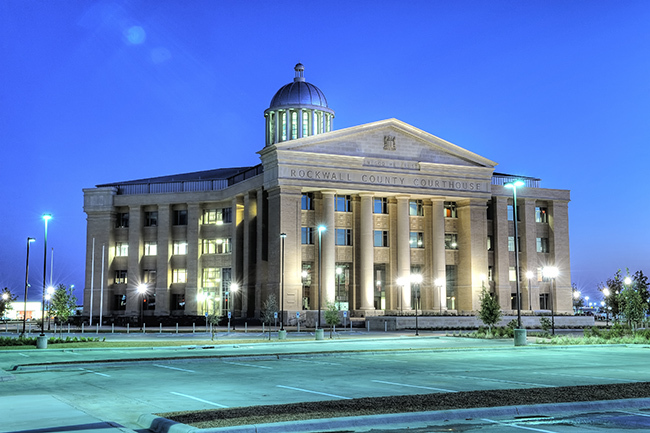 The Rockwall County Courthouse project was completed in 2011. The 125,000-square-foot project serves courthouse functions and courthouse support services and other county service offices. The traditional courthouse design includes four 50-foot-high columns and a 150-foot dome atop the roof making the building visible from the Interstate. HOUSTON – Effective today, Leonard Rejcek has retired as president of Manhattan Construction Company. Rejcek served in a variety of positions with Manhattan during his 33-year career including the last seven years as president. He has made many important contributions to the success of the company and will end his career by helping manage a transition to new leadership. Francis Rooney will return as president and manage a search process for Rejcek’s successor. He will assure continuity and stable leadership of the company during this transition period, and will remain as chairman once a successor is in place. You are currently browsing the Manhattan Construction Group blog archives for June, 2013.